The Ultimate Fighter (TUF) 23 Finale unfolded last night (Fri., July 8, 2016) live on FOX Sports 1 from inside MGM Grand Garden Arena in Las Vegas, Nevada. With mixed martial arts (MMA) standouts like Ultimate Fighting Championship (UFC) women’s Strawweight champion Joanna Jedrzejczyk, top Strawweight contender Claudia Gadelha, former Bellator MMA Lightweight champion Will Brooks, English powerhouse Ross Pearson, Korean sensation Doo Ho Choi, and The Ultimate Fighter Season 23 finalists holding down the main card, TUF 23 Finale was primed to deliver. In one of her more complete Octagon performances to date, Jedrzejczyk worked Gadelha out through five grueling rounds to retain her 115-pound title. The Brazilian challenger certainly threatened early with perfectly-thrown counter strikes and even better-timed takedowns, which set the champion back on the scorecards through the first 10 minutes. But in classic form, the undefeated Polish striker battled back, tired Gadelha, imposed her will and proceeded to unload everything in her available arsenal to stagger and hurt her rival worse than she did in their first meeting. The full video highlights can be seen above, courtesy of UFC. 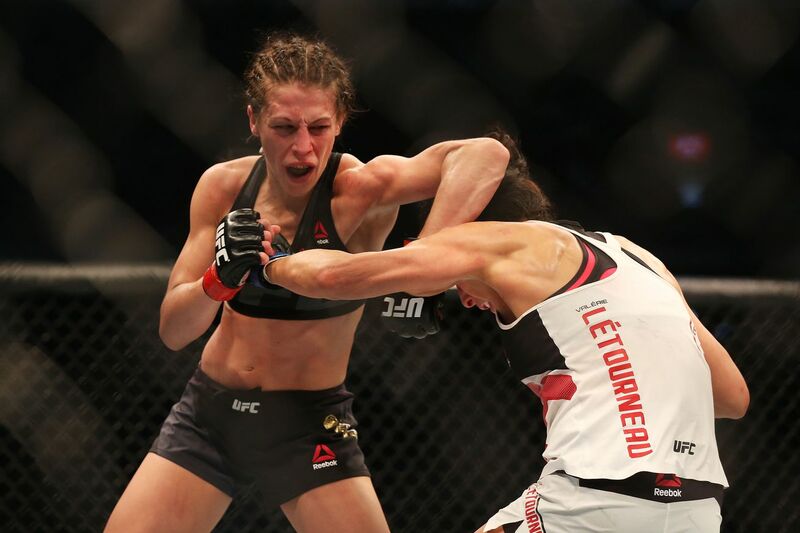 With this victory, Jedrzejczyk proves she’s capable of warding off a strong wrestler with powerful hands. She is primed for a long reign atop the Strawweight division and a prime example of hard work paying off. For more TUF 23 Finale: “Jedrzejczyk vs. Gadelha 2” results and analysis click here.